If you’ve always dreamed about flying for a living, why not consider a career as a helicopter pilot? 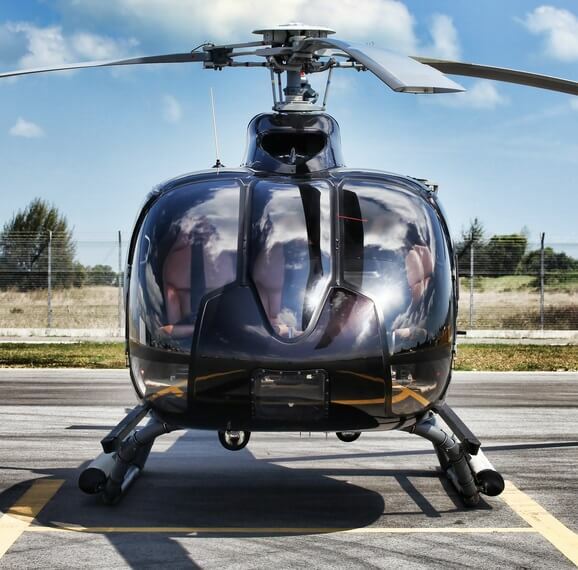 The role of a helicopter pilot is to transport passengers from one place to another by helicopter. There are a wide variety of careers for qualified helicopter pilots. You can work as an offshore pilot transferring workers to oil rigs, take tourists on airborne sightseeing tours, undergo specialist rotary training, become a pilot with the armed forces or save lives alongside doctors and paramedics flying an air ambulance. What are the responsibilities of a helicopter pilot? Helicopters are capricious and require precise mental and physical co-ordination. It’s like trying to spin plates while reciting the alphabet backwards in Urdu. What are the key skills required by a helicopter pilot? Unlike commercial fixed-wing aeroplanes which are primarily computerised, helicopters are more unstable and require a far greater degree of manual flying, coordination and calculation. They also offer a more direct flying experience that pilots describe as more thrilling than that of flying a larger plane. As pilot Patrick Muirhead observes, flying a helicopter for a living makes you a ‘glorified chauffeur’. It is fundamentally a ‘people job’ and requires a degree of customer service skill in addition to the extensive flight training – particularly the ability to remain calm and reassuring in any situation. These skills are even more crucial if your role involves air ambulance work. If you have little to no flying experience, an aptitude assessment prior to beginning an pilot course is advisable to save time and money, should this career path turn out not to be for you. Many helicopter training companies provide such assessments, so get in contact and enquire about them. It may also be possible to have a trial training session at a reduced price before starting the course proper. 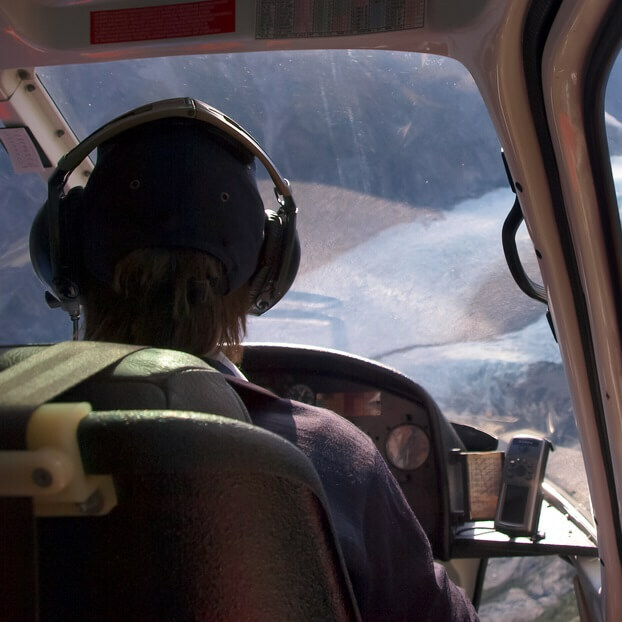 What qualifications does a helicopter pilot require? In order to become a helicopter pilot, you will need to gain the relevant qualifications and experience. There are two routes to this. Firstly, you can study for a Commercial Pilot License (CPL(H)). This normally takes 3-4 weeks (30 hours of instruction time) after which you must pass a five-section CPL(H) test. Commercial helicopter pilots are also expected to have a minimum of five GCSES in English, maths and science (or equivalent). A pass grade in physics is especially desirable. The second route to becoming a helicopter pilot is by joining the armed forces and signing up for pilot training. RAF pilots are also expected to have a minimum of five GCSES, including English language and maths, plus two A-levels (or equivalent). An RAF commission is for twelve years. Once you have completed your commission you will have the necessary experience to work as a civilian pilot. For many helicopter pilot roles (such as North Sea rig work, where storms and impaired visibility is common) the pilot must also have an instrument rating qualification. This means that they are capable of piloting the helicopter using only the in-cockpit instrumentation, with no visual references. As such, it is considered one of the hardest tests in aviation and helicopter pilots that are IR-qualified are more employable. Unlike fixed-wing pilots, who regularly fly high enough for their vision to be obscured by cloud, most onshore helicopter pilots never use their instrument rating and most commercial helicopters are not even qualified for use in IR conditions. However, the complexity and difficulty of the qualification marks pilots who have achieved it as extremely skilled and capable of working any role. Achieving an IR is therefore highly recommended, even if you don’t plan on working in a role where it is mandatory. Do I need relevant work experience to become a helicopter pilot? Candidates will not be accepted onto a CPL(H) course without a minimum of 155 hours flying time in helicopters – 50 hours as pilot in command and 10 hours cross-country. What are the prospects and salary of a helicopter pilot? When you have a hectic day, you get in the aircraft and can push everything else out of your mind. Being in flight helps me see the big picture a little bit better and I love that. Is the role of a helicopter pilot right for me? There are both pros and cons to working as a helicopter pilot.